The following is a collection of video oral histories told by people who live and work in Harlem(click on the play button to view the videos). They are a part of the Digital Media Training Program’s Harlem Through My Eyes Oral History Project. The DMTP trains high school students in video production and oral history while they interview people in their community. The Harlem Through My Eyes Oral History Project is creating a photography book, a documentary, and a multi-media exhibit in order to chronicle the rich history of Harlem. Over the past four years the project has interviewed over 30 people including educator Dr. Adelaide Sanford, Pastor Emeritus of the The Riverside Church Rev. James Forbes, journalist and historian Herb Boyd, State Senator Herman Denny Farrell, Mama Foundation for the Arts founder Vy Higginsen, social justice activist and entertainer Harry Belafonte, art historian Rosalind Jeffries, community activist Iesha Sekou, Schombrug Library Director of Collections Mary Yearwood, actress Anna Maria Horsford, writer Terry Mulligan, photographer John Pinderhughes, former Black Panther and Columbia Film School Professor Jamal Joseph, artist and activist Betty Blayton, former Harlem Globe Trotter Bobby Hunter, historian William Seraile, homeless advocate Ellen Baxter, community television pioneer and Deep Dish TV founder DeeDee Halleck, Apollo Theater CEO Jonelle Procobe, substance abuse treatment pioneer Dr. Beny Primm, former New York State Supreme Court Justice Judge Bruce Wright, sustainable development pioneer Carlton Brown, street ball legend and Each One Teach One founder Bob McCullough, church leader and human rights activist Dr. Thelma Davidson Adair and former Black Panther Michael Tabor. Dr. Thelma Adair and her husband, the Reverend Eugene Adair, were asked by the Reverend William Sloan Coffin to re-open the Mount Morris Presbyterian Church in Harlem. The white congregation moved away, and the church had been closed for several years. The Adairs rebuilt that congregation into a flourishing pastorate which the Reverend Adair lead for 38 years until his death in 1979. That year same year, Thelma Adair was elected Moderator of the 188th Assembly of the Presbyterian Church, the church’s highest governing body. She also became an authority in early childhood education and wrote several books and authored numerous scholarly articles on the subject. She is Professor Emeritus of the City University of New York after teaching in the Education Department of Queens College for 31-years. On April 9, 2019, at the age of 98, she was given the Urban Angel Award by the New York Theological Seminary. In 2013, former State Assemblyman Herman "Denny" Farrell talked about growing up in Harlem and his accomplishments in New York State Goverment. He served as Assemblyman for 42 years before retiring in 2017. Farrell died on May 26, 2018 at the age of 86. Betty Blayton is a painter, sculptor, art activist who co-founded the Studio Museum in Harlem and was a founding director of the Children's Art Carnival. Herb Boyd is a journalist, author, educator and historian who has written over 24 books. Anna Maria Horsford is an actor who has starred in roles for movies and television including the long running series "Amen." John Pinderhughes is a Harlem-based photographer noted for his commercial and fine art photography. 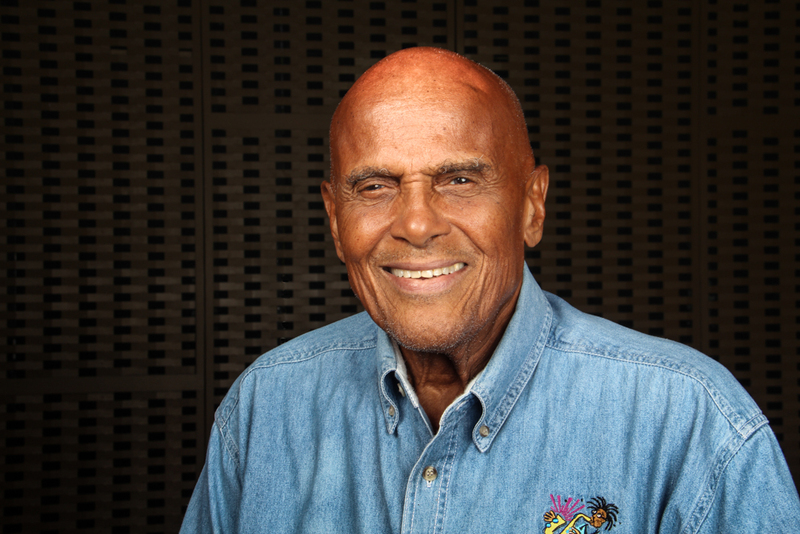 Harry Belafonte is a Harlem-born singer, actor and human rights activist. Youth Empowerment Television Reporter, Aisatou Bah, interviewed documentary filmmaker Albert Maysles in 2012 at the Church of the Intercession in Harlem. Youth Empowerment Television Reporter, Aisatou Bah, interviewed documentary filmmaker Albert Maysles in 2012 at the Church of the Intercession in Harlem. The occasion was the screening of King: A Film Record… Montgomery to Memphis. Bah was a senior at the Harlem Renaissance High School, and it was her first experience of reporting in the field. The 85-year-old Maysles who, with his brother David, pioneered the “fly on the wall” or direct style of documentary filmmaking that broke with tradition and did not use narration or music tracks. His notable credits include Gimme Shelter (1970, with Charlotte Zwerin) – featuring the Rolling Stones, Grey Gardens (1976, with Ellen Hovde, Muffie Meyer, Susan Froemke), and LaLee’s Kin: The Legacy of Cotton (2001, co-directed with Deborah Dickson and Susan Froemke), which depicted the trials and tribulations of a poor African-American family living in the contemporary Mississippi Delta. LaLee’s Kin was nominated for an Academy Award for Best Documentary Feature. Maysles is the recipient of a 2013 National Medal of Arts awarded by President Barack Obama on July 28, 2014. He died on March 5, 2015 at the age of 88.